A PF cadre has been killed and policemen have been beaten up as PF cadres tried to take over a farm by force in Lusaka west. The cadres carrying machetes and pangas (axes) have for long time been terrorizing farmers in Lusaka West but this time one farm owner with the help of the police and neighbours tried to defend their land. One policeman is still battling for his life after the PF cadres beat him up in their effort to grab the farm belonging to a Mr Lisulo. The deceased youthful cadre was in a group of about 80 others illegally demarcating a Mr Lisulo’s land when someone shot at the group. 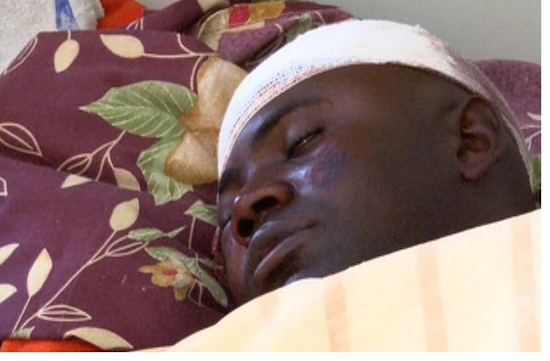 The policeman was severely beaten by the youths and left for dead when he and other law enforcement officers were sent to the farm to restore order. The incident happened on Sunday. After gunshots were fired, the cadres scampered but they regrouped and descended on Mr Lisulo’s house and smashed all the window panes. Police officers were deployed to quell the fracas but they were outnumbered and beaten, one of them severely. Lusaka Province commissioner of police Lemmy Kajoba said in Lusaka yesterday that the incident happened around 11:00 hours and that shotgun pellets were found at the scene. “The cadres told our officers that their colleague was shot by a member of that family [Mr Lisulo] when they went to allocate plots on Mr Lisulo’s farm,” he said. Mr Kajoba said one of the police officers injured is battling for his life in the University Teaching Hospital while four others were treated and later discharged. Police are investigating the shooting incident.